So it's now officially fall. I know we were all jumping the gun a little the last few weeks now that the kiddos are back in school and brisk mornings have made their return. But today is the actual day. Before I get into this fall edition of #hashtagging, go give some love to my partner in crime Lauren @ Genuinely Lauren. She's pretty occupied being a dog mom of 3 at the moment, but she'll appreciate a hello! Alrighty then, let's get started! I went out both nights this weekend. It just re-affirmed that I'm too old for that kind of thing as I sit here still recovering. Booze is one thing but lack of sleep is the real kicker. 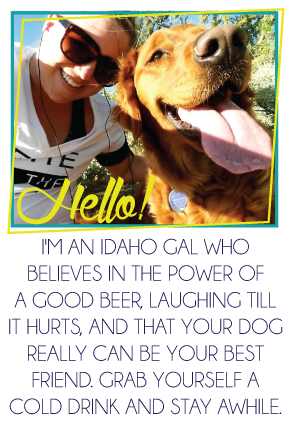 #ineedmybeautysleep #walkingthedogat2amwasabadidea #imneverdrinkingagain #ohlookbeer! What are you confessing this week? 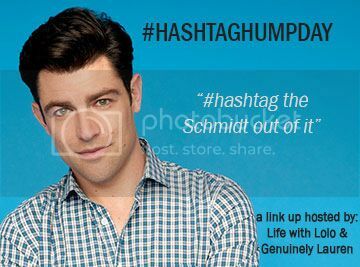 Link up and #hashtag it! 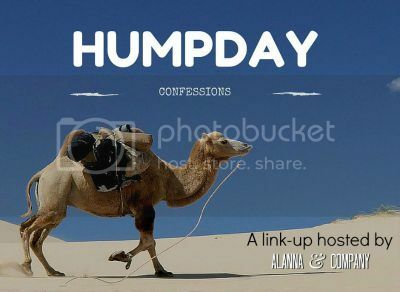 Also, my friend Alanna at Alanna and Co has a new confessions link up on Wednesdays too! Why not join both? Go check it out! death by walking--the best description of a half marathon i can think of! love that. and flash 'em girl! too funny. Haha the Britney gif and dog-walking gif are perfect! Good luck on your half marathon. I've been thinking of signing up for one to pressure myself into training for one. We'll see about that. LOL that bulldog would be me after walking a half marathon, I can't even imagine running it! Best of luck with your first half! If nothing else, reach that finish line for the beer and the post race snacks that make you feel like you're playing youth soccer again. EEK- good luck this weekend! :) I actually love walking so walking a 1/2 weirdly sounds fun haha. You guys could always mix in like 1 minute of walking every 15 minutes or something too, just to keep you interested/engaged lol! I don't think I could walk 13.1 miles. On days when my Fitbit says I got 8 miles in I'm ready to pass out at like 9 p.m. And if I go out, I prefer it to be a Friday so I have Saturday AND Sunday to recover. Hahaha. I find it hilarious that you sold out for a free shirt. Haha just giving you a hard time. I am sure he appreciates your support. Relationships have demised over less. And I had to LOL at the half marathon. Sounds like pure torture. Good luck girl! Sports hoodies are for real comfy, though. I bought my husband and I both hoodies from my college team, and they are amaazing. So comfy, seriously. Although, I can only imagine that if the college he went to was a close rival, I would be pretty much hunted down if I got caught wearing the other teams' hoodie in a pic on FB haha, so I feel for ya. My last half marathon I did back in April up in Nashville, I pretty much walked the whole thing. I finished it in 3 hours and 10 mins. You'll definitely be surprised with yourself! Good luck, love bug! good luck on your first half! !